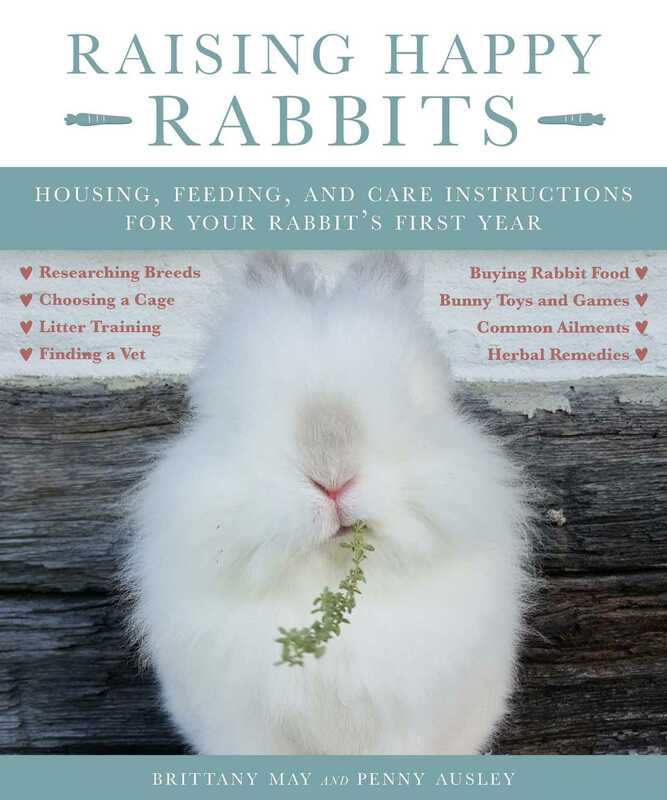 Raising Happy Rabbits will help you choose the right kind of rabbit for your home (if you haven’t already picked one), and answer your questions about housing, litter training, proper feeding, exercise, freedom, grooming, potential illnesses, playtime activities, what is normal/abnormal behavior, and much more. Make your first year with your bunny a fun and fulfilling experience that will bond you and your new rabbit for life. Brittany May and Penny Ausley run an eight-acre hobby farm named Happy Days Farm with rabbits, chickens, turkeys, and guinea fowl. They have been raising rabbits for over five years, and through trial and error have learned many natural methods that have helped keep their rabbits happy and healthy. Learn more at www.happy-days-farm.com. They live in Mebane, North Carolina and Burlington, North Carolina.